This Dhoti is for Deity Alankaram. 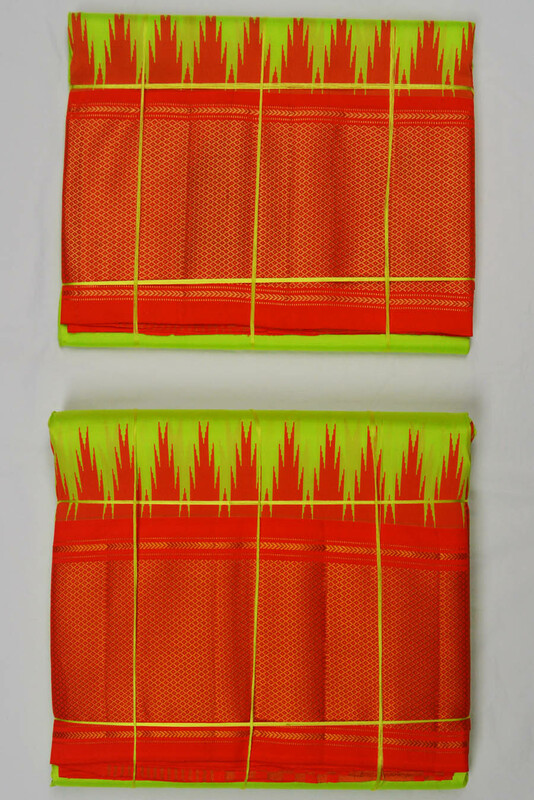 Light Green color body with Orange color border. Shawl is in same color as the Dhoti.